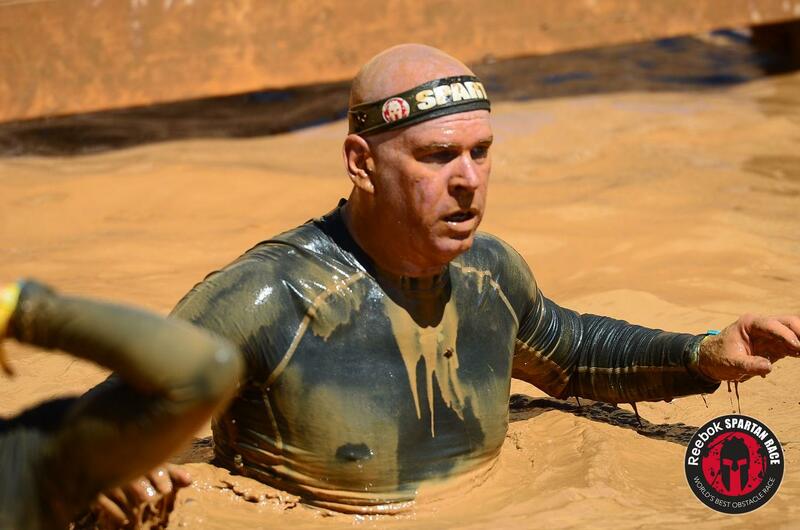 I am a 52-year-old leukemia survivor who is in the middle of a major life transformation. I just discovered obstacle course racing this year and it has become my new passion in life and a major factor in my losing over 40 pounds in the past year. I am married to my awesome wife, Sandy, and have three awesome sons, Grey, Seth, and Kade, who I am trying to share my newfound passion with. I am a Software Solution Architect with a focus and passion on the power of leveraging data and advanced analytics to better the world. My first race was Malibu 2013 and it was COLD!! Not knowing what I was getting into, we went hard out the gate. I was huffing and puffing so hard, I literally thought I wasn’t going to make it. I was slipping everywhere because I was in experienced and was wearing Nike Frees! I failed pretty much every obstacle out there (rope climb, monkey bars, spear) so I was drowning in burpees. I wanted to cry because I was so tired and so cold. I kept asking myself “why did I sign up for this”! But then I crossed the finished line and earned my first medal. After that, I was hooked.